April 2016 | Vanity and Everything in Between. I'm not very particular between a body wash and body soap so long as they work and smell good. Over the years though, I've been using bar soaps as they seemed the be the practical and common choice. I have the tendency to apply more body wash than needed because it's liquid. Thus, emptying a bottle faster than bar soaps. When Lux was re-launched in Manila though (the brand was pulled out years ago and made a come back last 2015), I could't help myself but try their body wash. I mean, I've been using this back in LA when I was still living there and the smell was amazing. I wanted to see, smell rather, for myself if the ones they brought here smell as good. Vaseline is popular for their petroleum jelly. It's called a wonder jelly because it can heal cuts, bruises and the like while it can also moisturise your chapped lips and dry skin. To be quite honest, I never really knew what it does to the skin (until recently) but my parents always had a tub of this at home particularly when we were still living in the states. My relatives have a tub on Vaseline's petroleum jelly on their powder room. 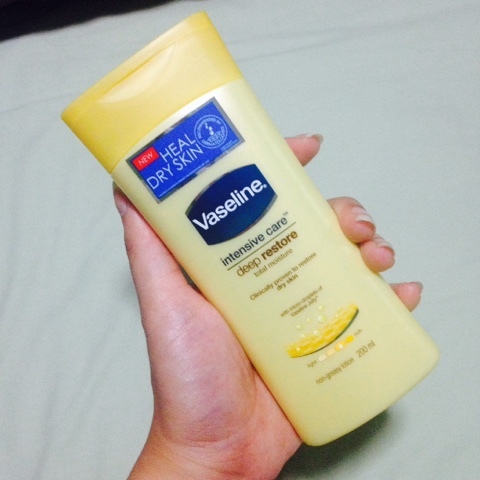 Now, the healing power of petroleum jelly can be found on Vaseline's latest body lotion - Petroleum Jelly lotion! During the early stages of my makeup "addiction", I used to say that I can not live without an eyeliner. It was true. I always had an eyeliner with me. I switched between gel and liquid eyeliners. I was so into cat eyelines, too! As I get older though, I noticed that my attention diverted to brows and lipsticks. I can finally let a day pass by without using an eyeliner. Not because I no longer needed it, it was because I wanted to keep a bare face. Later on, I switched to using brown eyeliner for a more natural look. But I make sure that I still have a black eyeliner in my makeup bag in case I want to look made up. But the other struggle with eyeliners is pigmentation. I always preferred the blackest black. Why? Because I will only need to line my eyes once et voila! What do you know, Maybelline has us covered in that department because they recently released a liquid eyeliner that is intensely black! 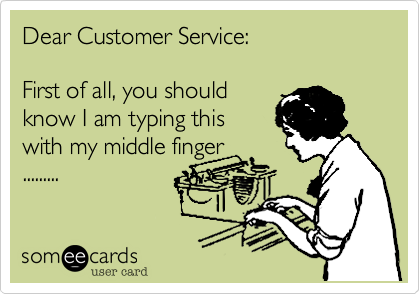 All right, I'm not addressing this to Customer Service. I'm addressing this to some PR agencies that have contacted me regarding their products or their client's products. This PR agency PerCX-Perfectly Creatve X-tras Advertising Services sent me Fashion 21 products for a sponsored post. They said they will be sending products that are perfect for Summer. Beyond that, there really isn't much info. No campaign whatsoever. Since I wanted to feature local brands here on my blog, I agreed. Things started to get nasty though when the products were delivered to my shipping address. They were expecting to see the write up the following week (during Holy Week)! Apparently, they had a timeline on their mind but only informed me after receiving the products. They were also telling me to inform them once the post is up so they can SEND the payment. Take note of the word SEND. After sending them the link, they replied almost two weeks after telling me to get the payment at their office in Quezon City! I thought they were going to send it to me? I mean, wasn't that the point of reminding to send them the link of the blog post so they could immediately send the payment? Now, you want me to personally get it from your office that is at least an hour away (without traffic) from me?! I asked them if they could just deliver it to my shipping address because their office is too far. I made a follow up one week later because I never heard from them again. They replied 2 days later telling me to still get the payment in their office because the couriers did not accept it as it may get lost in transit. While that may be true, seriously though, who the heck are you kidding? I have received products, GCs, payments etc that were delivered to my shipping address. Whether the other PR agencies used a courier service or not, the point is, they were able to deliver. Why? Simple. Ethics. It was what was agreed upon. So, I told them that the payment won't be of any value if I go all the way to Quezon City. My gas and time wasted on traffic won't be enough for that payment. I told them to be more transparent with their terms and conditions moving forward because they clearly belittle bloggers. I also told them that I will be blogging about this incident instead. So, they replied saying that they will ask their driver to send the payment to my shipping address just to prove that they acted on good faith and that they are being transparent. Excuse me but the moment you told me you'd send the payment and retracted it insisting I should claim it in your office is a clear sign of not acting in good faith. And how ridiculous is it that they only thought of using the company car after I have complained? So, they sent the payment a week later but I told our helper not to accept it. Sa inyo na yan. Hiyang hiya ako sa abala. When they said they were going to send it thru their company driver, I never replied to them again aka-seenzoned. Hindi lang kayo any may karapatang mang-deadma. Why am I posting this? It really ticked me off how this agency treated me as a blogger. So, I posted a product review for you. You were supposed to work with me equally not boss me around. I deal with PR agencies on a daily basis and majority of them are professionals. They reply fast on emails. At times, I end up apologising for a late reply because of intermittent internet access. Heck, I can even honestly say that they love their jobs. This whole blogging thing is very simple - PR agencies reach out to you to pitch their product to be featured on your blog. They usually ask for your term and conditions and once you both agree on it, they send the product and the payment once everything has been completed. Honestly, I've never encountered a PR agency insisting that I get the payment in their office just because. Actually it's the PR agency that goes out of their way to send the products and payments. Another PR agency that as ticked me off is this PR agency that handles NYX. First, she cancelled our meeting 2-3 hours before the agreed upon time. She said she had a Skpye meeting that was moved to a our meeting time. Then I never heard from her again. I told her to just send the products since she cancelled on me. Nada. Now, that's just plain out rude. Patricia could have at least e-mailed me saying that they have changed their mind collaborating with me. I get that Digital Marketing is a whole lot cheaper than the traditional advertising but please treat bloggers with equal respect. If you don't want to be treated rudely, then don't be rude to bloggers. If you can't do that, then you're probably in the wrong industry. 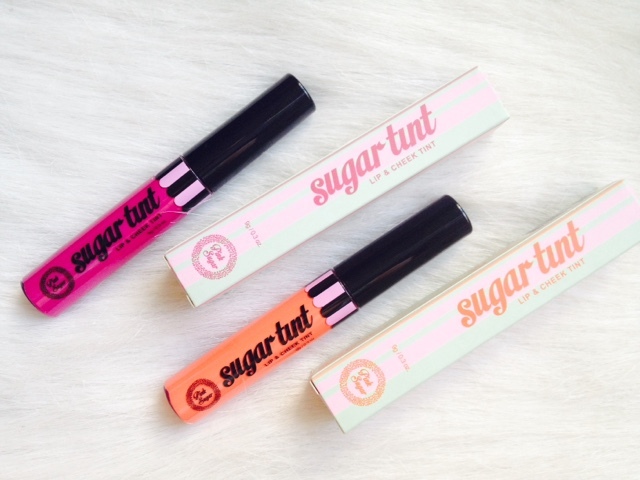 Pink Sugar Cosmetics is a local makeup brand that was launched last year. I was excited to try their lipsticks as they were the ones that trended the most on social media. 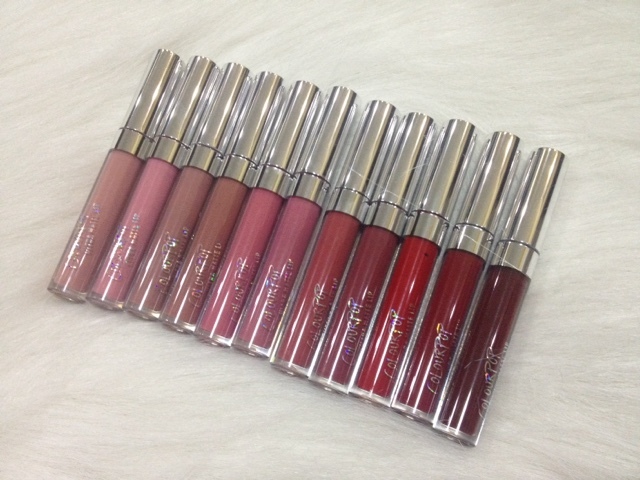 Apart from their matte and creamy lipsticks, they also released a lip and cheek tint! Honestly, I haven't used a lip and cheek tint in a while. I was too busy hoarding liquid lipsticks. I was able to score 2 out of 5 shades from their lip and cheek tint range. You know you've been waiting for this. I've had these Colourpop Ultra Matte Lips since July 2015 but I've been delaying this post because.. I don't know really. I love them too much to share. Kidding! Summer is here! It's so hot especially in the morning! When I was young, Summer was my favourite season because it was that time of the year where beach resorts became our second home! Growing up though, I still like Summer [probably not as much as before] although for a different reason. I like Summer because I get to wear bright colours and I don't get weird stares from people. 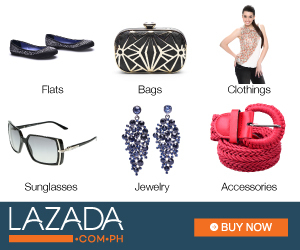 Be it from clothes, nail polish, to lipsticks! 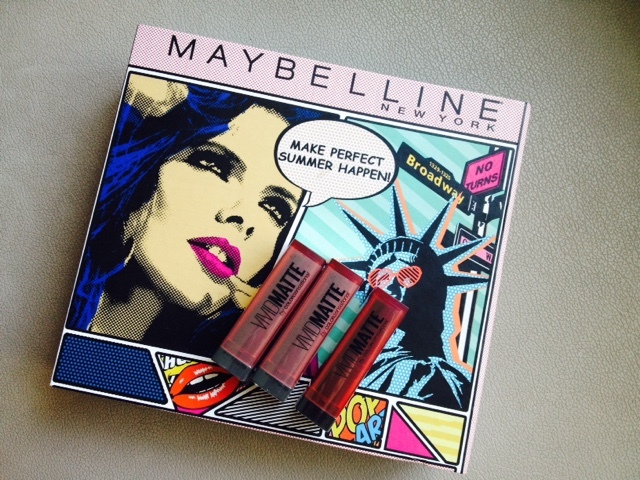 This Summer, Maybelline got us covered with their Vivid Matte lipsticks*! 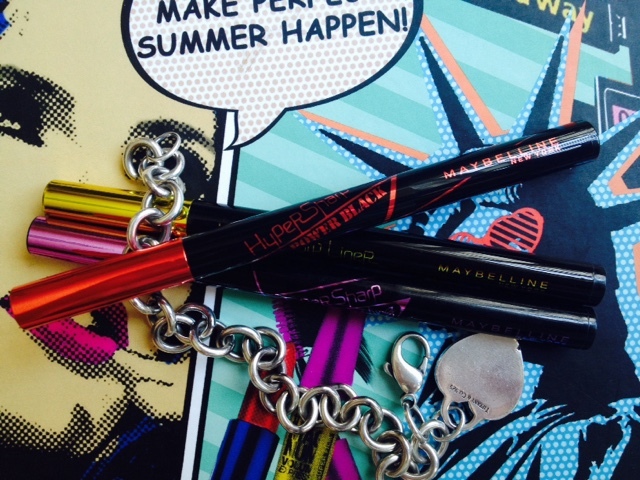 These lipsticks can definitely make that Perfect Summer! 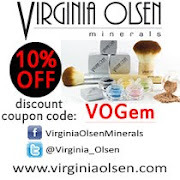 I got several requests regarding local brands of makeup and if I have tried SG authentic makeup. 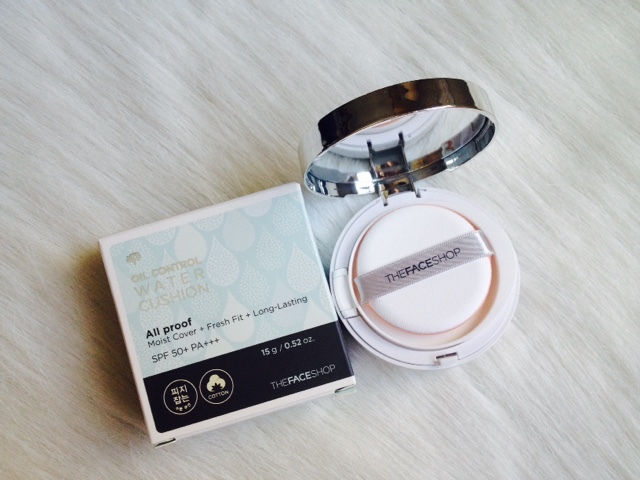 I will tackle SG authentic makeup on a different post. For today, I'll talk about another gem in a wide array of local brands of makeup. Pinkies Collections, if I am not mistaken, is a sister company of Jazzy Cosmetics. Its packaging is baby pink and by the looks of it, the target is college students and beginners in makeup. Since my blog posts are mainly about lipsticks, I got several requests to try Pink Collections lipsticks. I already have two in my stash and I'm reviewing them soon. It's so hard to catch Mr. Sun because I almost always wake up late on weekends. Today though, I'll be talking about lip pencils. Yes, lip pencils. This is one product you hardly see on my blog. I have never been a fan of lip pencil because I never aimed to have fuller lips ala-Angelina Jolie. That's how I always thought a lip liner is for. Lipsticks do not usually bleed on me so I don't need another layer of protection on my lips. Color combination? I'd rather combine two lipsticks on my lips than a lip liner and lipstick. That's just me. 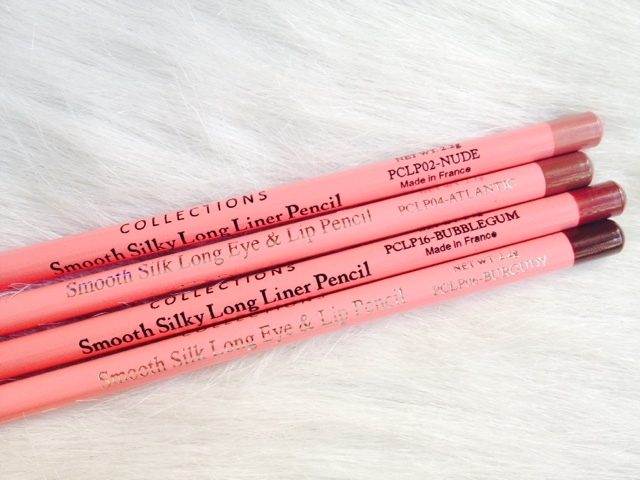 While swatching lipsticks though, the Pinkies Collections SA cross-sold me their lip liners. Amazed at how long their lip liner was, I left SM department store with 4 lip liners from the brand. I was restricted to wear makeup since February. No need to go into details why but as soon as I was cleared to wear at least brow makeup, I didn't think twice. Here's the caveat though: if I can avoid brow powder, avoid. I had to use eyebrow pencil as it has a lesser tendency particle fall out. 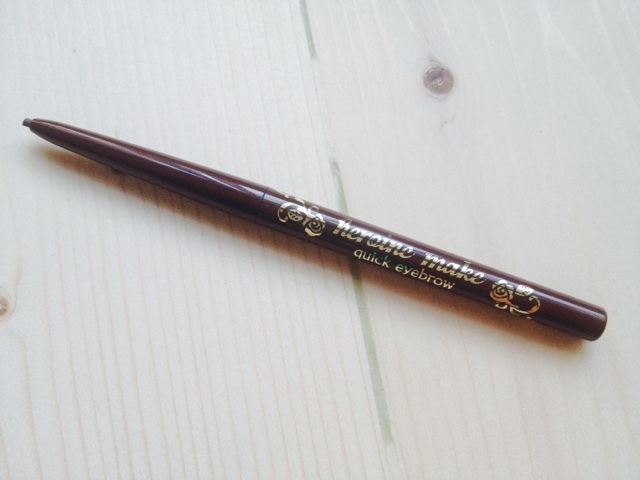 I opened my last Heroine Make Quick Eyebrow* in #01. That's what I've been up to lately! Since, I can't play too much with makeup due to my eye surgery, I diverted my attention to only shopping. Haha! My package arrived today - well, 3/4 of my package because there are still 4 items on the way. I'm just too happy with my purchases because they all fit! Bought a few clothes for Summer and for work. Sharing them today here on the blog because why not! Besides, it's Summer, It's too hot to go out so I'd rather shop online. At least for now!